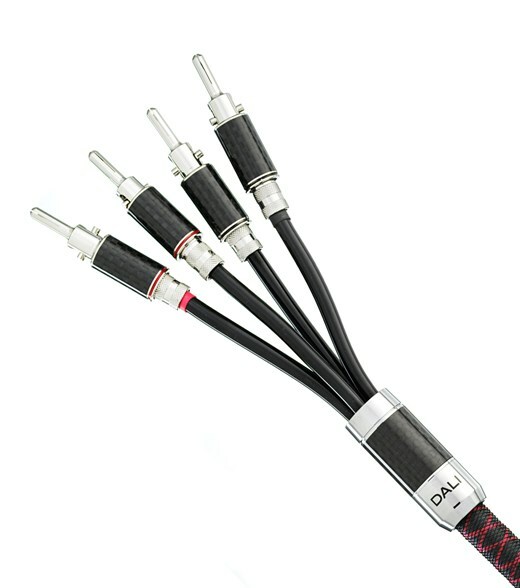 The terminated DALI CONNECT SC RM230ST speaker cable has carefully selected conductors and dielectric materials optimized for the free flow of sound. This version is terminated with a cable split encased in a distinctive carbon casing that helps avoid unintended contact. 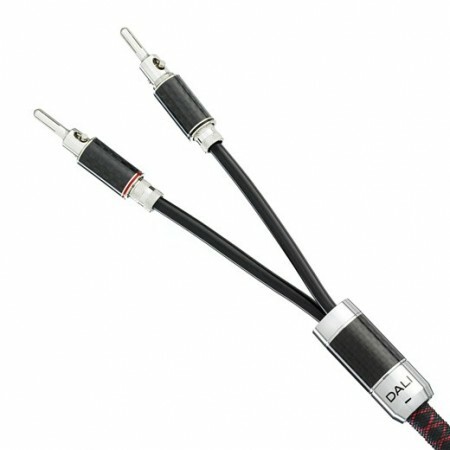 The final termination is made with a high-performance Rhodium plated 4mm banana plugs surrounded by the same carbon casing as the cable split. The expanding centre pin of the banana plug forms a long-lasting tight connection to the speaker terminals, ensuring optimal signal transfer. Sold in Boxed Pairs of cables. For conventional single wire connection order the SCRM230ST, or for Bi-Wiring / Bi-Amping order SCRM430ST. 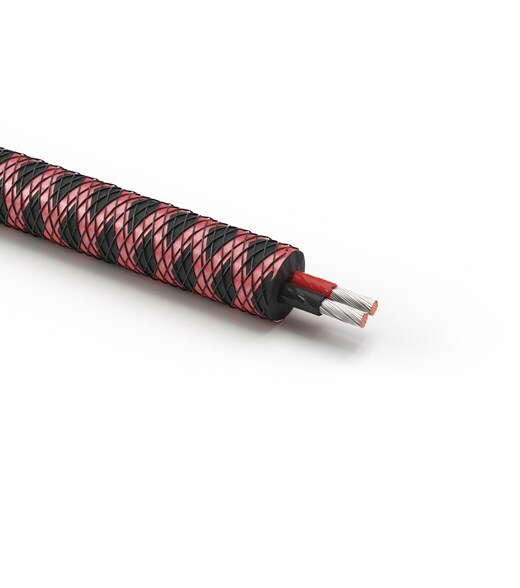 The high purity FEP inner shielding of the ‘DALI CONNECT SC RM230ST’ ultra transparent speaker cable keeps the conduction bundles in a vice grip and offers an impressive low dielectric absorption. 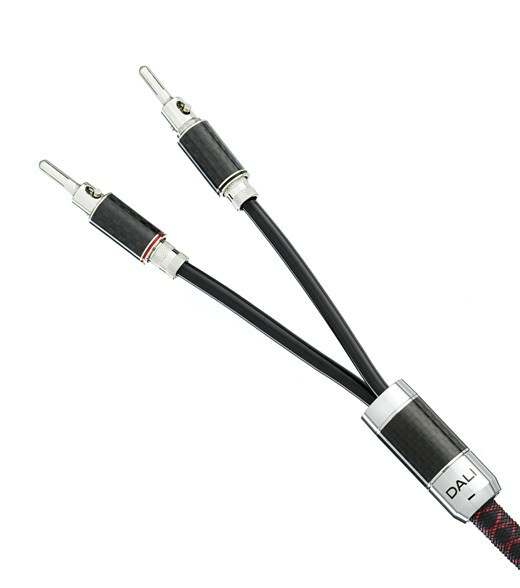 The combination of all the elements that make up this unique speaker cable: 3.0 mm2 silver plated copper wires, true concentric stranding, FEP inner shielding and a polyethylene (PE) outer shielding, all bring their individual contribution towards achieve DALI’s goal of uncoloured, clear and well defined sound.